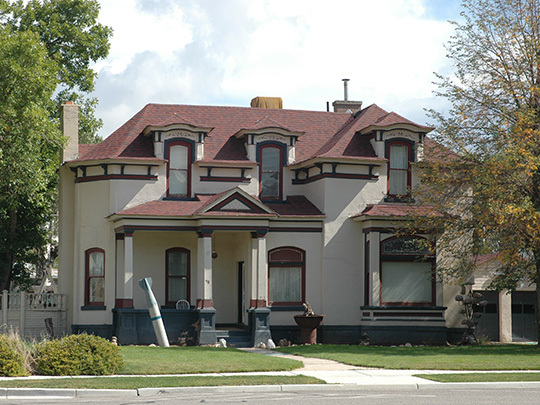 Photo: Thomas L. Allen House, 98 North Main Street, Coalville, UT. Listed on the National Register of Historic Places in 1982. Photographed by user:Tricia Simpson (own work), 2012, [cc-by-3.0 (creativecommons.org/licenses/by/3.0)], via Wikimedia Commons, accessed September, 2013. Summit County administrative offices are located at 60 North Main Street, Coalville, UT 84017; phone: 435-336-3200.